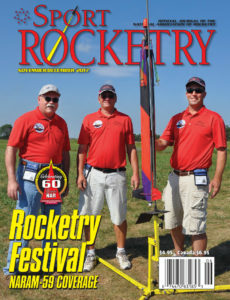 Join or renew your membership to the National Association of Rocketry online! We currently accept Visa and Mastercard. Sorry, we do not accept Discover, American Express, or debit cards. To join or renew a Family Membership, call NAR Headquarters, 800-262-4872. If you prefer to mail your membership application, click here. 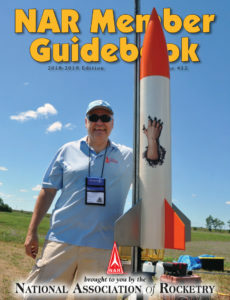 Featuring over 400 publications and technical reports. Current NAR members with a website account, click here. You can renew your membership, check your HPR level, or update your contact information. To renew a Family Membership, call NAR Headquarters, 800-262-4872. Current NAR members without a website account, click here. You will get a link via your email in response to this. Click on that link, and create your own personal login name and password. You can then renew your membership online. This link works only if we have a current email address on file. Are you a current NAR member, but NAR Headquarters doesn’t have a current email address for you? If we don’t have an email address or your email address is outdated, submit an update to your email address. We will update your email address in our database. This will allow you to log in. Please allow two working days from sending the update to allow us time to enter it. Are you a former NAR member, click here. If you are a former member who was not in a current, dues-paid status as of November 2009, proceed as if you were a new member. If you remember what your NAR number was, please enter it in the Former/Current NAR Number field. Welcome back! You are a member beginning on midnight of the day your application and credit card are accepted online. The process of issuing a NAR member card for new, renewing, and HPR certification typically takes 4-6 weeks. The cards are sent weekly to a fulfillment company that prints them and does the mailing. Until the NAR membership card arrives, you may record your NAR number as “pending” on any forms requiring that number. You can also log back into your account and see your NAR number 24 hours after you have joined. In the event you need Proof of Membership, click here.